Part Number: 1K0057110A. TIGUAN MK1 2007-16 MODEL YEARS (5N). SCIROCCO 2009-14 MODEL YEARS (13). EOS 2007-16 MODEL YEARS (1Q). BEETLE 2007-2011 MODEL YEARS (1C). BEETLE CABRIOLET 2007-10 MODEL YEARS (1Y). These are the original audio head unit’s for a 2002 VW Bora. Complete working order with the stereo unlock code. 1K0035156A;. 2009 VOLKSWAGEN GOLF which we are dismantling. 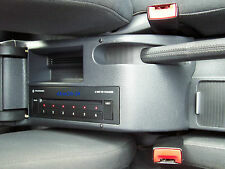 VOLKSWAGEN GOLF Radio/CD/Stereo Head Unit. GOLF 2008 -2013 Mk 6 (5K). The Part imaged and described is th eactual part you will recieve. Green parts are also known as ‘recycled parts‘ or ‘used parts‘ and are manufacturer parts that have been removed from a vehicle during the dismantling and recycling process. PART: 2013 Volkswagen Transporter MK5 FL 2.0 Radio Head Unit & Switch Panel PART NUMBER: 7E0035156B ADDITIONAL COMMENTS: WARRANTY (PARTS ONLY): 3 MONTHS – FREE 6 MONTHS – AN ADDITIONAL 10% OF BUY IT NOW PRICE 12 MONTHS – AN ADDITIONAL 20% OF BUY IT NOW PRICE NO WARRANTY INCLUDED ON CORE UNITS (ENGINES & GEARBOXES) WE DO NOT OFFER EXTENDED WARRANTIES ON PARTS THAT HAVE BEEN ACCEPTED AS A BEST OFFER FAILURE TO SUPPLY ANY EXCHANGE ENGINES OR GEARBOXES WILL INVALIDATE YOUR WARRANTY WE DO NOT COVER ANY LABOUR COSTS EXCHANGES: ENGINES, GEARBOXES & DPFs/CATs ARE SOLD ON AN EXCHANGE BASIS – PLEASE MESSAGE US THROUGH EBAY AND WE WILL COLLECT THE CORE UNIT FREE OF CHARGE RETURNS: ALL RETURNS MUST BE PROCESSED THROUGH EBAY IF YOU WOULD LIKE TO REQUEST A RETURN: 1. 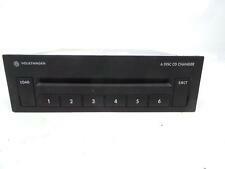 2003-2009 MK5 Volkswagen Golf 1K CD AUTOCHANGER 6 DISC CHANGER. Part Number - 1K0 035 110 A. Make - Sony. There are some age related marks (see images) Please make sure part is correct before purchasing. We try to describe our parts as honestly as we can, however please also see our images in case we have missed anything. Any questions please ask. International buyers please contact us for price and availability of postage to your location. Removed from below vehicle -. PART: 2013 Volkswagen Transporter MK5 FL SWB Radio Head Unit & Switch Panel 7E0035156B PART NUMBER: 7E0035156B ADDITIONAL COMMENTS: N/a WARRANTY (PARTS ONLY): 3 MONTHS – FREE 6 MONTHS – AN ADDITIONAL 10% OF BUY IT NOW PRICE 12 MONTHS – AN ADDITIONAL 20% OF BUY IT NOW PRICE NO WARRANTY INCLUDED ON CORE UNITS (ENGINES & GEARBOXES) WE DO NOT OFFER EXTENDED WARRANTIES ON PARTS THAT HAVE BEEN ACCEPTED AS A BEST OFFER FAILURE TO SUPPLY ANY EXCHANGE ENGINES OR GEARBOXES WILL INVALIDATE YOUR WARRANTY WE DO NOT COVER ANY LABOUR COSTS EXCHANGES: ENGINES, GEARBOXES & DPFs/CATs ARE SOLD ON AN EXCHANGE BASIS – PLEASE MESSAGE US THROUGH EBAY AND WE WILL COLLECT THE CORE UNIT FREE OF CHARGE RETURNS: ALL RETURNS MUST BE PROCESSED THROUGH EBAY IF YOU WOULD LIKE TO REQUEST A RETURN: 1. 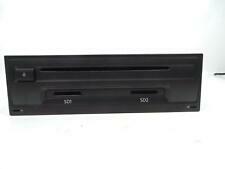 Volkswagen Golf Bora Passat Sharan Lupo 6 Disc CD Changer 3B7035110 or 6X0035110. Genuine and original VW part. Radio Tape player is not included, it is used for testing purposes. This unit is compatible both with GAMMA and BETA tape stereos. REMOVED FROM A 2007 VOLKSWAGEN TOUAREG 3.0 TDi. All parts are stamped/marked by LMT Car Parts for authenticity. 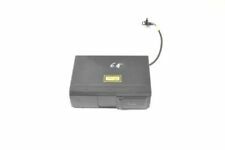 PART: RADIO CD PLAYER MP3 PART NUMBER/MAKE: 5K0035156 REMOVED FROM: VW VOLKSWAGEN CADDY WARRANTY (PARTS ONLY): 3 MONTHS – FREE 6 MONTHS – AN ADDITIONAL 10% OF BUY IT NOW PRICE 12 MONTHS – AN ADDITIONAL 20% OF BUY IT NOW PRICE (UNLESS STATED OTHERWISE) WE DO NOT COVER ANY LABOUR COSTS CONDITION: USED, SO MAY HAVE SIGNS OF AGE RELATED WEAR & TEAR (LIGHT MARKS & SCRATCHES) PLEASE SEE PHOTOS ADDITIONAL COMMENTS: N/A COMPATIBILITY: PLEASE SUPPLY A FULL REGISTRATION NUMBER IF UNSURE OF COMPATIBILITY ALL PARTS ARE SUPPLIED WITH A VAT INVOICE. PART: 2011 Volkswagen Caddy Maxi C20 Radio CD Player MP3 5K0035156A PART NUMBER/MAKE: 272415 ADDITIONAL COMMENTS: N/a WARRANTY (PARTS ONLY): 3 MONTHS – FREE 6 MONTHS – AN ADDITIONAL 10% OF BUY IT NOW PRICE 12 MONTHS – AN ADDITIONAL 20% OF BUY IT NOW PRICE NO WARRANTY INCLUDED ON CORE UNITS (ENGINES & GEARBOXES) WE DO NOT OFFER EXTENDED WARRANTIES ON PARTS THAT HAVE BEEN ACCEPTED AS A BEST OFFER FAILURE TO SUPPLY ANY EXCHANGE ENGINES OR GEARBOXES WILL INVALIDATE YOUR WARRANTY WE DO NOT COVER ANY LABOUR COSTS EXCHANGES: ENGINES, GEARBOXES & DPFs/CATs ARE SOLD ON AN EXCHANGE BASIS – PLEASE MESSAGE US THROUGH EBAY AND WE WILL COLLECT THE CORE UNIT FREE OF CHARGE RETURNS: ALL RETURNS MUST BE PROCESSED THROUGH EBAY IF YOU WOULD LIKE TO REQUEST A RETURN: 1. Donor Car: 2004 VW Golf MK5 2000cc Quattro Sport. The New and Used VW Parts Specialist for all VW models worldwide. VW Part Number: 1K0 035 186 L. Donor Car Colour: Bodywork is Blue. Interior trim is Black. Donor Car: 2000 VW Golf MK4 2000cc Sport. The New and Used VW Parts Specialist for all VW models worldwide. Includes Radio Code 0281. VW Part Number: 1J0 105 036 D. It may fit others. We do not decode them prior to sale. All Parts are used and may have hidden faults. We do not cover any garage fees, or any other expenses caused if the item appears to be faulty. All spare parts are used, checked and tested at our best knowledge and experience. THIS DOES NOT INCLUDE NI, ROI, HIGHLANDS OR OFFSHORE ISLANDS. VEHICLE REF: AO04. CODE NOT INCLUDED, MAYBE REQUIRED. 2017 VOLKSWAGEN POLO which we are dismantling. VOLKSWAGEN POLO Radio/CD/Stereo Head Unit. POLO 2016 -2017 Mk5 (6C). HS1-9, IV40-51, IV55-56, KA27, KW15-17, PA20, PA41-49, PA60-78, PH42-44, ZE1-3. AB30-38, AB44-56, FK17-99, G83, IV1-28, IV30-39, IV52-54, IV63, KW1-14, PA21-40, PH15-26, PH30-41, PH49-50. Skoda Breakers. FOR YEARS: 1999, 2000, 2001, 2002, 2003, 2004, 2005, 2006, 2007, 2008, 2009, 2010, 2011, 2012, 2013, 2014 (1999). Volkswagen Breakers. Audi Breakers. Seat Breakers. All A/C Compressors must have the A/C system flushed to remove any contaminants and the proper oils and Freon to be used. 2015 VOLKSWAGEN GOLF. This has been taken from a 2015 GOLF but may suit other models. Year: 2015 Fuel Type: Petrol. Make: VOLKSWAGEN Transmission: Unknown. Model: GOLF Door Plan: 5 Door. 1J0035186D;. 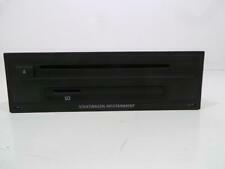 VOLKSWAGEN GOLF Radio/CD/Stereo Head Unit. 2001 VOLKSWAGEN GOLF which we are dismantling. GOLF 1997 -2005 Mk4 (1J). The Part imaged and described is th eactual part you will recieve. Green parts are also known as ‘recycled parts‘ or ‘used parts‘ and are manufacturer parts that have been removed from a vehicle during the dismantling and recycling process. POLO 2009 -2017 Mk5 (6R). Make / Model:VOLKSWAGEN POLO. VEHICLE SHOULD BE DRIVEN 20 to 30 MILES THEN THE OIL/FILTER REPLACED AGAIN. We would also like to assure you that this is the only engine we have experienced these failure rates with. PART: 2013 Volkswagen Transporter MK5 FL Radio Head Unit & Switch Control PART NUMBER: 7E0035156B WARRANTY (PARTS ONLY): 3 MONTHS – FREE 6 MONTHS – AN ADDITIONAL 10% OF BUY IT NOW PRICE 12 MONTHS – AN ADDITIONAL 20% OF BUY IT NOW PRICE NO WARRANTY INCLUDED ON CORE UNITS (ENGINES & GEARBOXES) WE DO NOT OFFER EXTENDED WARRANTIES ON PARTS THAT HAVE BEEN ACCEPTED AS A BEST OFFER FAILURE TO SUPPLY ANY EXCHANGE ENGINES OR GEARBOXES WILL INVALIDATE YOUR WARRANTY WE DO NOT COVER ANY LABOUR COSTS EXCHANGES: ENGINES, GEARBOXES & DPFs/CATs ARE SOLD ON AN EXCHANGE BASIS – PLEASE MESSAGE US THROUGH EBAY AND WE WILL COLLECT THE CORE UNIT FREE OF CHARGE RETURNS: ALL RETURNS MUST BE PROCESSED THROUGH EBAY IF YOU WOULD LIKE TO REQUEST A RETURN: 1. FIND OUR ITEM IN YOUR PURCHASE HISTORY 2. FOR YEARS: 2000, 2001, 2002, 2003, 2004, 2005 (2003). MON - FRI 9AM-6PM. VW Touareg 7LA 7L 6 Disc CD Auto Changer Mounting Bracket. Donor Car: 2004 VW Touareg 4200cc Quattro. The New and Used VW Parts Specialist for all VW models worldwide. VW Part Number: 7L6 035 493 A. It may fit others. 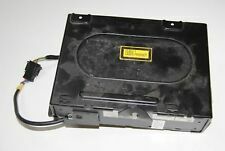 PART: 2017 Volkswagen Golf Mk7 Hatchback CD Player SD Card Head Unit PART NUMBER/MAKE: 3Q0035842B WARRANTY (PARTS ONLY): 3 MONTHS – FREE 6 MONTHS – AN ADDITIONAL 10% OF BUY IT NOW PRICE 12 MONTHS – AN ADDITIONAL 20% OF BUY IT NOW PRICE NO WARRANTY INCLUDED ON CORE UNITS (ENGINES & GEARBOXES) WE DO NOT OFFER EXTENDED WARRANTIES ON PARTS THAT HAVE BEEN ACCEPTED AS A BEST OFFER FAILURE TO SUPPLY ANY EXCHANGE ENGINES OR GEARBOXES WILL INVALIDATE YOUR WARRANTY WE DO NOT COVER ANY LABOUR COSTS EXCHANGES: ENGINES, GEARBOXES & DPFs/CATs ARE SOLD ON AN EXCHANGE BASIS – PLEASE MESSAGE US THROUGH EBAY AND WE WILL COLLECT THE CORE UNIT FREE OF CHARGE RETURNS: ALL RETURNS MUST BE PROCESSED THROUGH EBAY IF YOU WOULD LIKE TO REQUEST A RETURN: 1. FIND OUR ITEM IN YOUR PURCHASE HISTORY 2. 6DISC 6-DISC CD CHANGER. ref RIFILL MA 2026 (FEB304). VW Phaeton D1 6 CD Autochanger Changer. Donor Car: 2005 VW Phaeton 5000cc Quattro. The New and Used VW Parts Specialist for all VW models worldwide. VW Part Number: 3D0 035 110. Donor Car Colour: Bodywork is Black LR9V. CD Player, Stereo 1K0035186T. Make / ModelVOLKSWAGEN GOLF. made with love by. Part also fitsGOLF 2004 -2009 Mk 5 (1K). Radio / Cassette - tested 6X0035152. Make / ModelVOLKSWAGEN LUPO. made with love by. Part also fitsLUPO 1999 -2005 Mk 1. 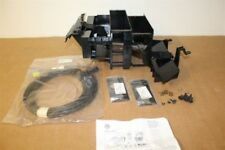 This auction is for a cd unit removed from a 2003 Volkswagen Golf but may fit other models, part number 1J0035119C. Please check the part number is correct for your vehicle before buying. The unit is in full working order and comes with a 90 day guarantee. If you are unsure about fitment to your vehicle please us on 01844 268940 option 5 or message us through ebay. 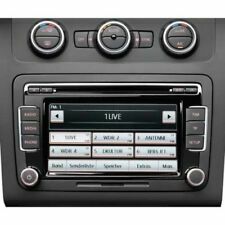 VW Golf Bora Passat Lupo Sony 6 Disc CD Changer 1DINCDC 3B7035110 6X0035110. Condition is Used. Dispatched with Other Courier (3 to 5 days). Volkswagen Breakers. FOR YEARS: 2004, 2005, 2006, 2007, 2008, 2009 (2004). All A/C Compressors must have the A/C system flushed to remove any contaminants and the proper oils and Freon to be used. Also, the A/C system needs a new filter, dryer and orifice tube when installed. Donor Car: 2007 VW Passat B6 Estate 2000cc. The New and Used VW Parts Specialist for all VW models worldwide. VW Part Number: 1K0 035 186 T. Donor Car Colour: Bodywork is Green LB6S. Interior trim is UP.